We are more than happy to answer any questions or provide guidance regarding diamond, engagement rings, or any jewelry related item. Call us directly or visit our store if you would like to meet in person. You may also schedule an appointment in advance. We have several certified gemologists on staff that will always provide you with accurate, unbiased advice. Fill in the form below, or if you prefer email, please contact us at customerservice@since1910.com and we will get back to you as soon as possible. If there is something particular that you are interested in, please include the photo here. "We ordered my engagement ring from since1910.com, and I am so impressed with it. The workmanship & quality far exceed what we saw at chain jewelers when we were first looking around. The price was unbeatable & being able to choose my own diamond was a huge plus. When I started contact with them, Christina got back to me the same day. 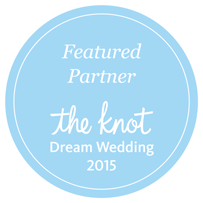 I would absolutely recommend this jeweler & we will buy our wedding bands from here."